As we get closer & closer to summer, the fruit selection & prices at the store get better! I’ve already been able to snag some great deals on berries (and we even have some strawberries ripening in the garden)! 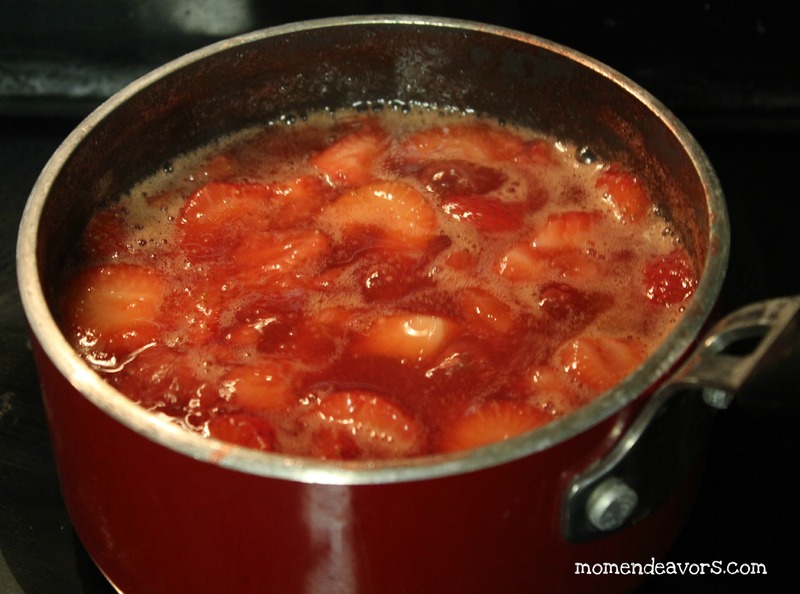 If you find yourself with an abundance of berries, making a homemade sauce/syrup is a great way to use them up–especially if they are starting to get over ripe! An extra bonus is that it freezes great and tastes delicious warm or cold! 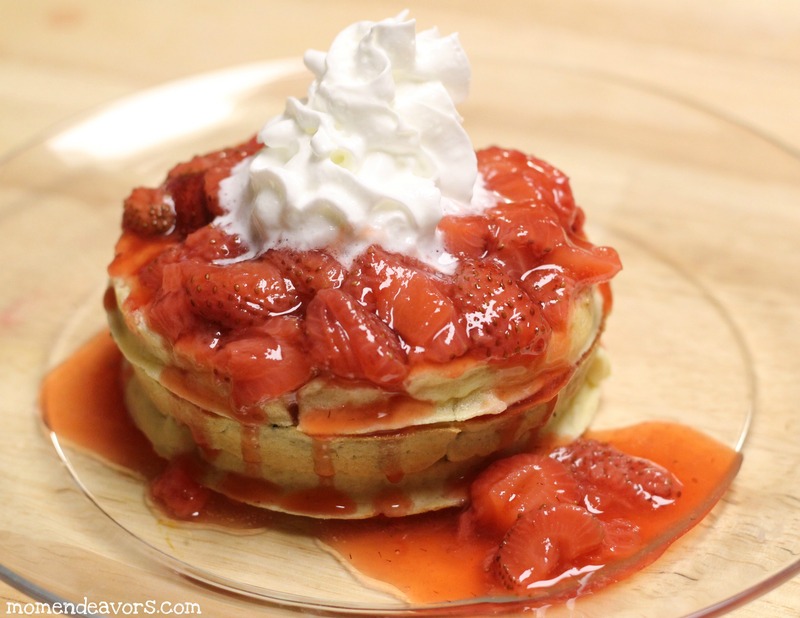 It’s perfect on ice cream, pancakes, and waffles!! YUM! 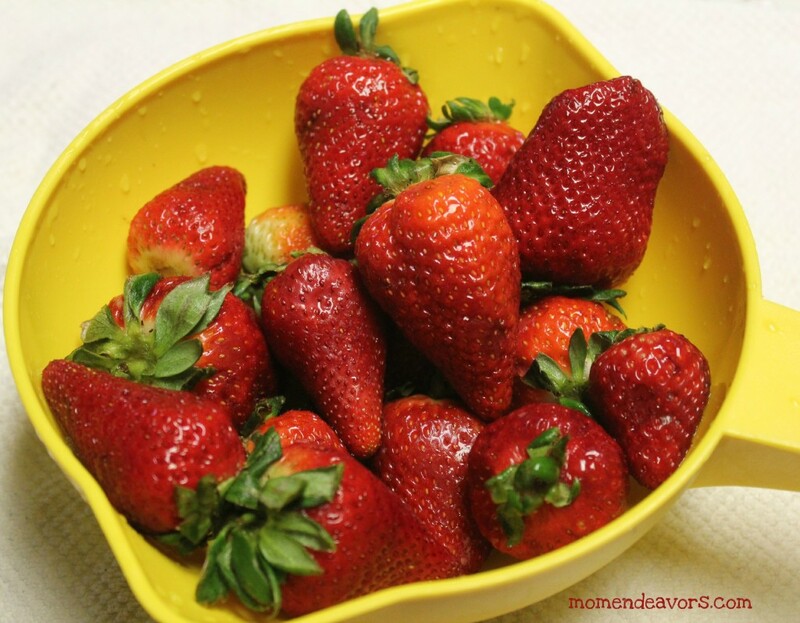 – Start by washing, removing the stems, and cutting your berries. – Then, mix all the ingredients together in a saucepan. Bring to a boil, then immediately reduce heat and let it simmer for 15-20 minutes, stirring occasionally. 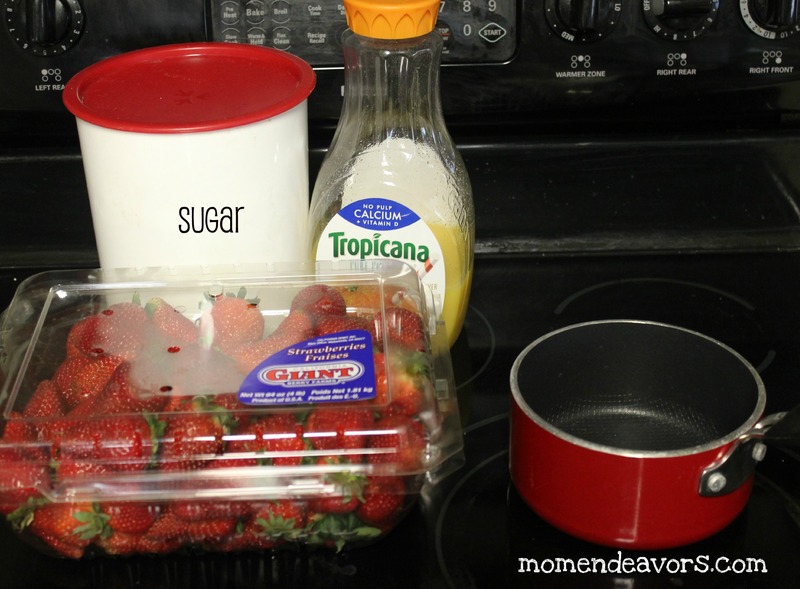 – With the sugar, as the strawberries break down, the sauce should start thickening on its own. But, if you’d like it a little thicker then you can add a little cornstarch & water mixture. If you want to do this, then, in a small bowl, add about 1t of cornstarch & mix it with about 1t water. 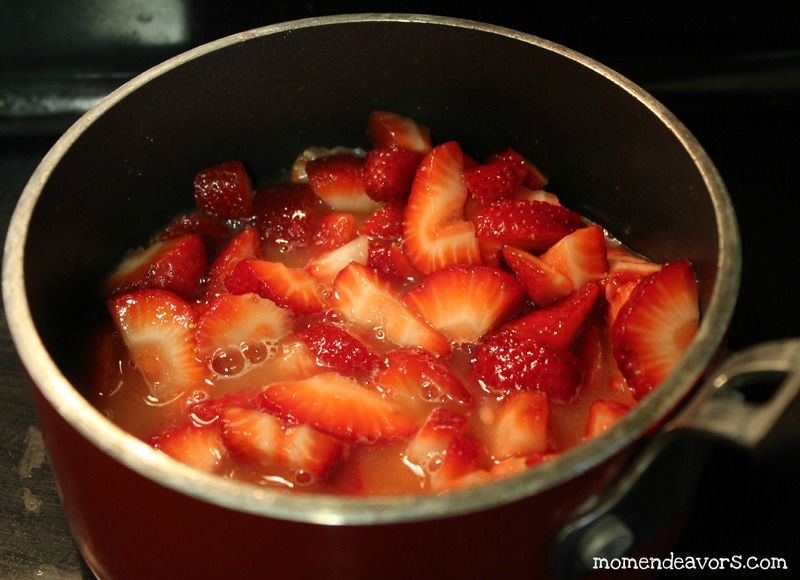 Once the cornstarch is dissolved, add to the simmering strawberry mixture & stir it in well. Serve warm or cool; put in a pretty jar for storage in the fridge (or freezer); or pour right on your food item of choice–like some waffles! Super yum! 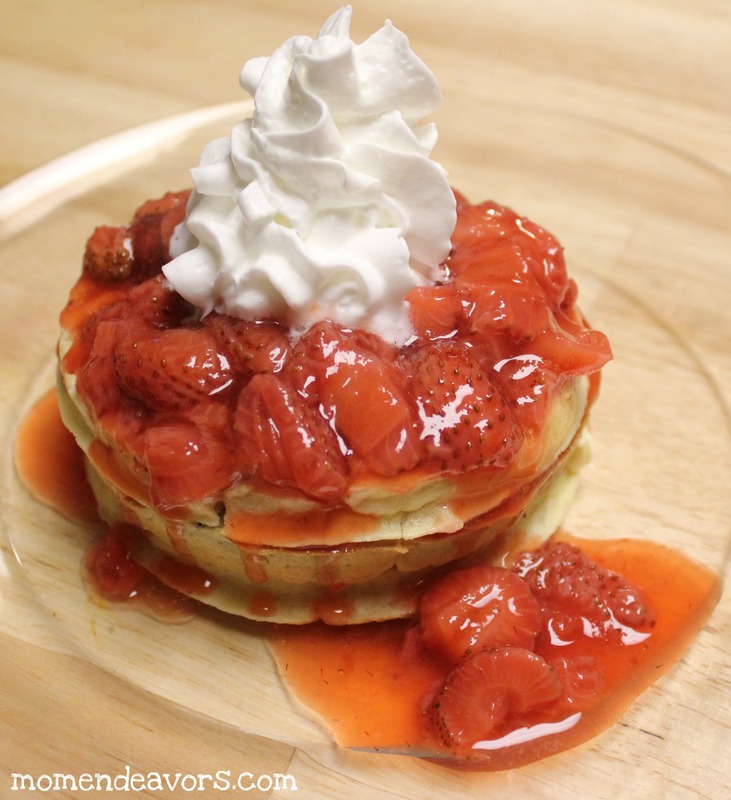 What is your favorite kind of syrup/breakfast sauce? I DO NOT like maple flavored anything, so maple syrup is NOT on my list. Blueberry is good. (And usually advailable when we order breakfast out. ) At home I top pancakes and waffles with PEANUT BUTTER. LOL. I found this on Pinterest. I’ve made it twice now to go with things I’ve made for my MOPS (Mothers of Preschoolers) group. It’s so good! Thanks for posting it. I’ll have to check out your blog some more when I get a chance.